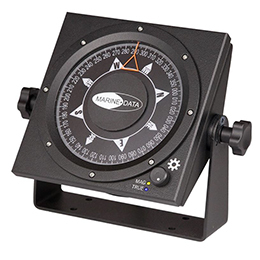 Panoramic Rudder Angle Indicator (MD72RDI) is a 3-face, 250mm diameter, NMEA-based Panoramic Rudder Angle Indicator. 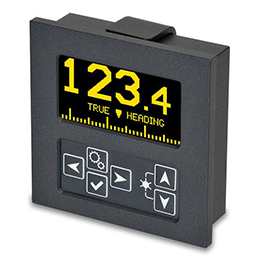 It provides a clear display of rudder angle, which is easy to read from any position on a bridge. Each window has an analogue display graduated in 5° increments from 45° Port to 45° Starboard. 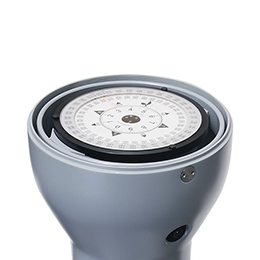 Housed in a robust, compact aluminium enclosure and fitted with a rotary encoder dimmer control for background and pointer illumination, it is ideal for any vessel. 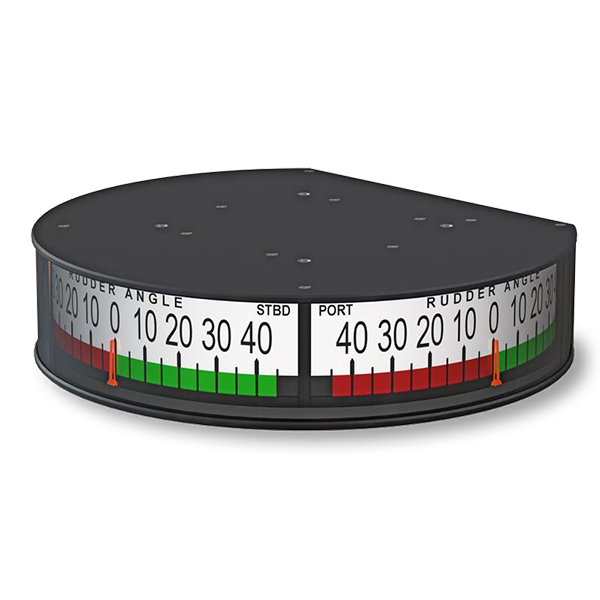 The MD72RDI offers a rudder angle indicator solution for locations where the available space is limited and may be either bulkhead or deckhead mounted with the included VESA 100 mount. 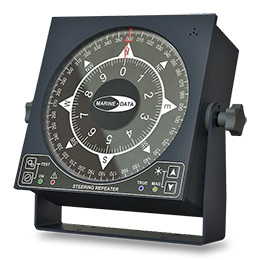 It is finished in jet black to complement other marine navigation equipment. 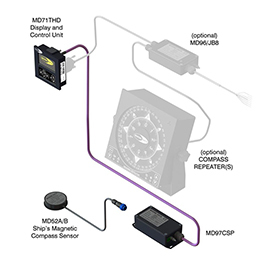 The MD72RDI from MARINE DATA: Flexible in application, easy to install and simple to maintain.